Hollywood Jac 86 sired 252 foals of which 151 were performers. National Reining Horse Association $2,533.80. Torima is the dam of 17 foals of which 14 were performers. Torrisima, 1982 Chestnut Mare by Lucky King Cutter. Earned: National Reining Horse Association $976.63. Miss Torima Jac, 1985 Dun Mare by Hollywood Jac 86. Earned: National Reining Horse Association $1,412.00. 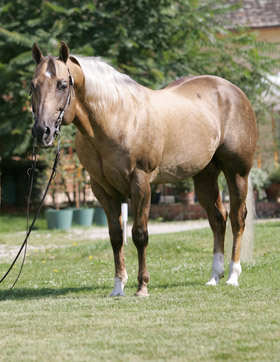 Jac O Rima, 1986 Palomino Stallion by Hollywood Jac 86. See top. Tori Bar Flit, 1988 Sorrel Stallion by Bar Flit Fritz. Other earnings: National Reining Horse Association $5,304.70. Torima Bar, 1989 Bay Mare by Bar Flit Fritz. Earned: National Reining Horse Association $205.95. 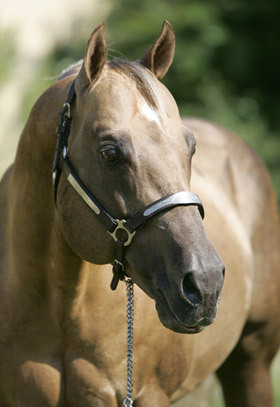 Tori Flashy Jac, 1991 Palomino Mare by Boggies Flashy Jac. Other earnings: National Reining Horse Association $8,467.07. Boogies Tori Jack, 1992 Buckskin Stallion by Boggies Flashy Jac. Performance Register of Merit. Earned: National Reining Horse Association $3,241.28. Ima Tori Kid, 1994 Chestnut Mare by Brennas Kid. Other earnings: National Reining Horse Association $4,717.46. Dun It Like Torima, 1995 Dun Mare by Dun Its Cowboy. Other earnings: National Reining Horse Association $3,557.69. Bella Tori Jac, 1997 Buckskin Mare by Boggies Flashy Jac. Other earnings: National Reining Horse Association $11,000.72.